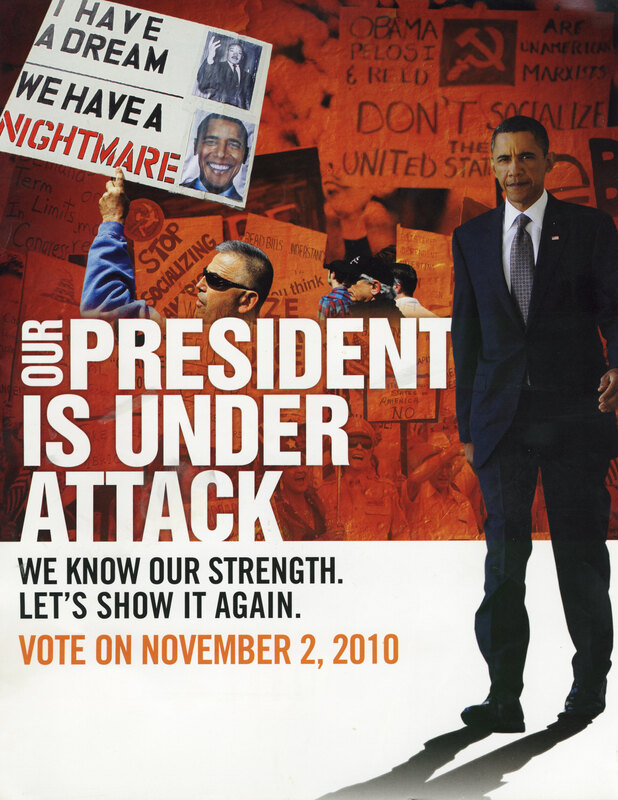 Obama’s election was supposed to herald a brave new era of post-racial politics in America. We probably should have known better. The president tried his best to be a uniter (remember the “beer summit” with Henry Louis Gates and the Cambridge Cop? ), but it’s just not happening. Say what? Who exactly are these people who want to shift the black community into “reverse”? Republicans? White folks in general? Even the Tea Partiers have been squeaky-clean on matters racial… they point proudly to their black co-religionists and appear to be above reproach. So what goes on here? The venerable NAACP, nervous about potential Republican victories on Election Day, simply resorted to an equally venerable bit of cultural shtick: that white people want to keep black people down. Does this archaic argument still hold water in 2010? Of course not. Nobody wants to keep black people down; if anything, all decent Americans want blacks to thrive in school, go on to college, find remunerative jobs and join the middle class. But never underestimate the power of old resentments to move minds. The NAACP hasn’t forgotten. It’s an old institution, after all (the CP in NAACP stands for “Colored People”). It has a long memory of lynchings, segregation, blatant prejudice and institutional injustice. But those days are history. You’d think the politics of racial resentment would be history, too. Come south to the land of the SEC, left-over resentment for those who profited from the misery of Katrina, and the segregation that still exists, perhaps not overt but not too hidden. Here the NAACP has seen the truth of these politics – there is still a division between the mostly white privileged and the black vote, which is not. Yes, black Republicans do hold power in various areas, but they don’t identify with their brothers. Here the Democratic vote is more color-defined or income-defined. Yes, there are exceptions to that split – but the battle between the two parties can be predicted by those terms, still. Bill: I understand that there’s still an economic gap between blacks and whites — though we shouldn’t generalize: there are plenty of affluent blacks and poor whites. And the South probably has a way to go before the last traces of Jim Crow are erased. What got me about the NAACP flyer was the implication that whites (or Republicans, or “the man”) still want to hold the black community down. Sure, the NAACP is pulling out all the stops to persuade black people to vote. But using an adversarial stance certainly doesn’t promote better race relations. They’re just perpetuating the notion that whites oppose blacks, and that blacks are their eternal victims. A few years ago, George Will (he’s among a few moderates I’ll probably mention often–fair warning) irked me with a column in which he mentioned that black voters “continue to marginalize themselves.” As with so many things, I realized he made me angry because he was right. The oppressed-black-American banner has become an ideology all its own. Kudos to Mr. Bayan for pointing out its not-unjustifiable reasons, but that doesn’t excuse the impediment it has become today. Unlike ideologues on the right, I’ll refrain from labeling this “reverse racism,” but how much progress can be achieved when individuals fail to recognize the great social strides that have been made? It’s become a crutch, festering in nihilism at first but now a mindless political machine. I shake my head as a black person who can only blame any lack of success I may have in life on myself. The left enables this apathy, and the right far too often simply ignores it. Moderation still has a long way to go. greyfoot: You say “I realized he made me angry because he was right.” If only more people could be so open-minded! Most of us stop at being angry, and never make the leap to acknowledging that the object of our anger actually had a point. That’s why the ideologues on the right and left are so perpetually angry; they undoubtedly see too much evidence that the other guy is onto something. But they just can’t acknowledge it. Anyway, like you I can understand where the NAACP is coming from, but we both agree that it’s counterproductive to revive old resentments. And it’s not just blacks and other minorities who do this: even the Tea Partiers are expressing outdated, unwarranted fears about socialism stealing their hard-earned money and doling it out to the undeserving poor. Old resentments die hard; I guess it’s human nature. Sticklygreyfoot, I completed accept the same thoughts. Black Americans marginalize themselves far too many times. I tend to believe that it is through word of mouth and low education that many Black Americans do this marginalization. Which is a form of ignorance toward what Martin Luther King Jr. advocated. Many Black Americans I have met over time are wealthier than myself and I have to mention that they have had to look out for themselves and strive hard to get where they are today by using techniques that enabled them to get where they are today. They didn’t steal, rob, or become angry at white people. They found out how white people become wealthy thru hard work and “save” and “spend” wisely”, by questioning methods and not by questioning color. I am not jealous of them. I am proud of them! They had to struggle hard to break the stereotype that Black Americans were somehow less than equal in the past. Now, some people of all types of background can have an ignorance toward color and that will probably always be the case as poor education and words spoken by one can distort reality. The words of the NAACP, speak to those people. Particularly, the Black Americans who have had bad experiences with other cultured/skin people and therefore, generalize. It could be those who just believe without questioning what they are being told by one source (which in this case, what is in the NAACP interests by putting this flyer out? just color? or is money involved somewhere?) I would say that if a President is good then he should be able to stand on his own footing no matter what color. I don’t understand why Black Americans put themselves in marginalization with the Democratic Party. Probably because they are the only ones who will listen to them and give them free stuff. Although, it comes with a price! You have to vote Democrat. Meaning you have no choice! You get spoon fed by a white political party who was based in the “plantation south”. When something goes wrong with a black politician (Sharrod, Jefferson, and Rangel) in the Democratic Party….the white Democrats run away and say they aren’t friends. Why is this? We will have to go back to the 60’s and see. Freedom rides – SNCC (1961) – blacks transporting on buses across state lines….against the law – protesting segregation. Blacks were protesting for equal, fair non-segregated rights. Ended in violence as Southern whites/Americans combatted the Black activists at every stop in the deep south. The two political parties were asked to intervene to stop the violence, but both parties didn’t want to get involved. Civil Rights Act (1964) – Democratic Party(left-wing, north-eastern/Southern based whites) felt the need to act first to give blacks civil rights, but still allow Jim Crow laws to be enforced in the south. More Democrats in Congress than Republicans. 18 Southern Democrats tried to stop it as well as 1 Republican from becoming law. Republicans passed it with 80%+ vote compared to Democrats who had a majority with only 40%+. Now who cared about Civil Rights? Civil Rights (1965) – Civil Rights were finally enforced as Dr. Martin Luther King Jr. led marches through Alabama and was forced down by violent police policies. Republicans do care, but ignore you now because you can suceed on your own. Democrats like the past want to keep you down. Vote the same way and think their way. As long as you do what the Democrats want you will always get free stuff as “hand outs”, but not as much as a “hand up”. This is still “living on a plantation!”. Note that the most of today’s right wing ideologues CLAIM to follow conservative rhetoric that originated in the northern colonies (states), a conservatism more of the Edmund Burke brand, but it was a SOUTHERN Republican majority that helped pass the ’65 Act, while the northerner Republicans voted against it. This fact is ALMOST rendered moot, since the conservative Republicans and liberal Democrats of today are almost completely different than their predecessors. However, it’s NOT moot, because there is no excuse for the indifference of the right on this issue. Of course this shouldn’t even have been an issue after that legislation anyway, but it was. Whether this truly originated on the left or not is debatable, but there’s no denying that they latched onto it at some point and are riding it with self-righteous indignation. But to simply say “Oh, quit complaining,” is one of the worst responses anyone can give. As irrational as many social issues can so often seem, an effort to address them as rationally as possible should always be attempted. No such thing was done by the right. It was simply dismissed, an act which the “well, because I’m right about this” excuse has proven to be counterproductive. It is quite obvious the right wing has ignored the Black American needs as where the left wing has picked up the votes to prove their point. It is sad to see political parties use color/race as a weapon against the other parties. When over time both really didn’t have a care for Black Americans at all to make them “equal” till violence and an outpouring of emotions came to bear. It is better said that, not complaining and acting, or complaining and acting is one way to get what you feel is your right. Rather than complaining and doing nothing or not doing anything. Every attempt at government to address the problem of Black Americans is to satisfy power to those in power and not to those who are truly the daily Black Americans on Main Street. Otherwise, Jesse Jackson and Al Sharpton would be “out of business”. The amount of time and money spent on getting the black to vote a certain way, think a certain way, live a certain way is set by the government “power players”. Otherwise, we wouldn’t be speaking about this 45 years since 1965. This is all while they are the most cultured group that is low educated and low income. Surely, Black Americans have aspirations. If this is the case, why aren’t the “power players” more focused on this than the politics of Republicans vs. Democrats, Wealth vs. Poor, White vs. Black…etc.? This is where both Parties fail. One ignores while one plays on the Black culture for votes.